Home >Maritime Glossary>What is an Ordinary Seaman? An ordinary seaman (OS) is an unlicensed member of the deck department who holds an entry level merchant mariner credential. An OS does not steer the vessel at the helm and usually does not stand watch. 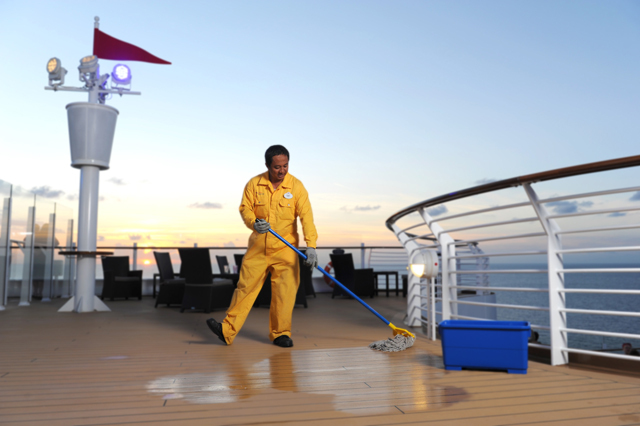 Routine work such as cleaning, chipping, painting, swabbing the decks, fixing ropes are all common tasks for an OS. An ordinary seaman is also certified to perform the work of an oilier in the engine department and steward’s assistant in the steward’s department. After 180 days, an ordinary seaman will meet the sea service requirements needed to test for their Able Bodied OSV rating. After 360 days at sea, an ordinary seaman can test for their AB special rating. Next → Next post: What Boats Can I Work on With a TWIC?